↑ 1.0 1.1 1.2 Stern AM, Markel H (2005). "The history of vaccines and immunization: familiar patterns, new challenges". Health Aff. 24 (3): 611–21. doi:10.1377/hlthaff.24.3.611. PMID 15886151. ↑ Van Sant JE (2008). "The Vaccinators: Smallpox, Medical Knowledge, and the 'Opening' of Japan". J Hist Med Allied Sci. 63 (2): 276–9. doi:10.1093/jhmas/jrn014. ↑ Dudgeon JA (1963). 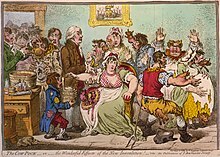 "Development of smallpox vaccine in England in the eighteenth and nineteenth centuries". BMJ (5342): 1367–72. doi:10.1136/bmj.1.5342.1367. ↑ ทวีโชติภัทร์, ปกรณ์. Vaccine and Sera. ↑ "Adapting Vaccines For Our Aging Immune Systems". ↑ ภก.ผศ.วันชัย ตรียะประเสริฐ, การให้วัคซีนในเด็ก, คณะเภสัชศาสตร์ จุฬาลงกรณ์มหาวิทยาลัย; 2544. ↑ "Thimerosal in vaccines". Center for Biologics Evaluation and Research, U.S. Food and Drug Administration. 2007-09-06. สืบค้นเมื่อ 2007-10-01. ↑ Muzumdar JM, Cline RR (2009). "Vaccine supply, demand, and policy: a primer". J Am Pharm Assoc. 49 (4): e87–99. doi:10.1331/JAPhA.2009.09007. PMID 19589753. ↑ Giudice EL, Campbell JD (2006). "Needle-free vaccine delivery". Adv Drug Deliv Rev. 58 (1): 68–89. doi:10.1016/j.addr.2005.12.003. PMID 16564111. ↑ 20.0 20.1 Wolfe R, Sharp L (2002). "Anti-vaccinationists past and present". BMJ. 325 (7361): 430–2. doi:10.1136/bmj.325.7361.430. PMID 12193361. ↑ Bonhoeffer J, Heininger U (2007). 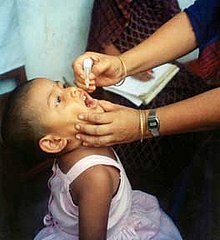 "Adverse events following immunization: perception and evidence". Curr Opin Infect Dis. 20 (3): 237–46. doi:10.1097/QCO.0b013e32811ebfb0. PMID 17471032. ↑ 23.0 23.1 Halvorsen R (2007). The Truth about Vaccines. Gibson Square. ISBN 9781903933923. หน้านี้แก้ไขล่าสุดเมื่อวันที่ 11 ตุลาคม 2561 เวลา 06:08 น.